The Shortcuts app for iOS 12 is now available—make sure you grab it! One of the best features of iOS 12 requires downloading a free app from the App Store. One of iOS 12’s greatest new features is Siri Shortcuts: the ability for apps to tie into Siri by letting you make custom Siri phrases to perform in-app actions. Siri may still have a long way to go on answering general questions, but this sort of customizable deep tie-in with apps makes it a lot more useful. 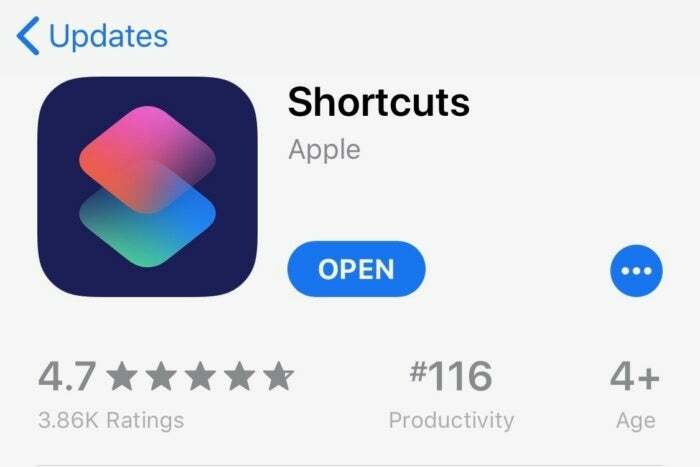 Going hand-in-hand with that feature is a new app from Apple called Shortcuts. If you’re familiar with Automator on the Mac, this is essentially the iOS equivalent of that. You use the app to create step-by-step series of automated actions, tying together multiple phone features and various inputs into a single script you can summon with a custom Siri phrase. For example, you can create a Shortcut that triggers with the phrase “I’m going home.” Then when you say, “Hey Siri, I’m going home” it will grab your ETA to home from Maps, text it to your spouse, set your HomeKit-enabled thermostat to the temperature you like, pull up Maps with directions to your home, and start playing your driving playlist. Of course, that’s one basic example out of millions of possible automation recipes. If you’ve been using the excellent Workflow app, you’ll notice this is almost exactly the same. Apple bought Workflow in 2017 and Shortcuts is their own version of it. In fact, nearly all your workflows should automatically appear in your Shortcuts library and work just fine. There are a couple of things missing from Shortcuts (like IFTTT triggers) but it also adds the ability to hook into operating system features like Do Not Disturb, Airplane mode, and low power mode. If all of this sounds daunting or confusing, don’t worry. There’s a big gallery of pre-made Shortcuts to choose from, and it’s really pretty simple to play around with customizing those. We’ll have a detailed guide on getting started with the Shortcuts app in the near future. If you already have the Workflow app, you just need to open the App Store and hit the Updates section. Shortcuts comes as an update to Workflow, and replaces that app. If you don’t have it yet, you’re missing out on one of the best parts of iOS 12! Just click Shortcuts from the App Store to grab it and get started unlocking the real potential of Siri.